I had the pleasure of visiting Kerala, India in June 2015, with Edinburgh Napier University veterinary nursing colleague Dr. Dave Smith. Our visit, was to promote collaboration between Edinburgh Napier University, and Kerala partners, including the Kerala Veterinary and Animal Sciences University (KVASU), Kerala Forest and Wildlife Department, and Kerala Forest Research Institute. A year on, I find myself looking back through some of my photos of the trip. Memories of the sights, sounds, and smells experienced during the visit return and I figured that it was time that I posted some images to a Kerala Gallery as promised after the trip. Whilst based in Thrissur, we visited Indian colleagues at KVASU at Pookode. The clinic here deals mainly with domestic animals, principally dogs and cats. From the hotel, I enjoyed the early morning house crows (Corvus splendens) from my window, and the nightlife: geckos on the walls. Between meetings, I took the opportunity on a couple of occasions to get out and walk the surrounds. The markets are chaotically stimulating, and I found the nearby after-dark fish stalls fascinating. In amongst the hustle and bustle of Indian city life, there are pockets of greenery and wildlife to investigate - with the Thrissur Kole wetlands only a short walk away, and the central temples an oasis of calm ringed by the frightening multi-lane thrust of traffic. 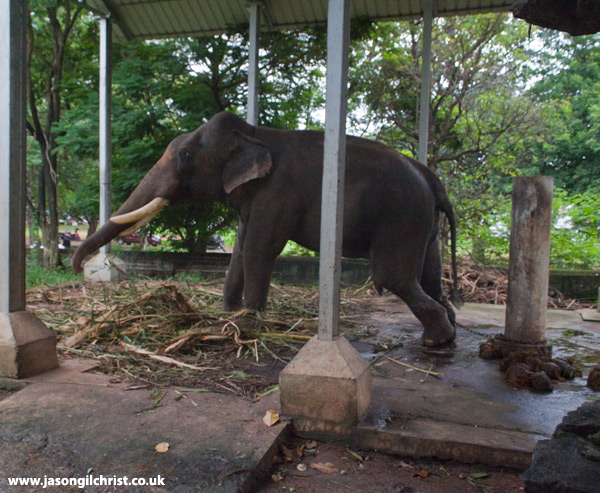 Whilst walking around the temples we sighted some of the quietly chained temple elephants. Elephants are culturally revered and a key element of the temple festivals - including the Aanayoottu (feeding of elephants) Festival but one wonders at the quality of life of these magnificent animals. I do not like seeing wild animals in captivity, particularly in chains and would rather see elephant free and wild. The welfare of temple elephants is thankfully gaining attention nationally and internationally, notably in the documentary "Gods in Shackles" (www.godsinshackles.com) with very wise and insightful words from Sangita Iyer. The documentary calls for an end to the use and abuse of elephants in these festivals: "Amongst all the glitz and glamour [of the festivals] these animals go through enormous pain and suffering". We also visited the more distant KVASU campus at Wayanad, with a more wildlife veterinary leaning here. The trip to Wayanad campus took us along the famous Lakkidi Highway through the Western Ghats. The forest was dense and damp. I spent my first night photographing tree frogs in the pouring rain. Next morning I was up bright and early before breakfast and walked to the nearby Lakkidi viewpoint to gaze down the twisting road and across the forest-covered hills. I marvelled at the brightly coloured trucks winding their way slowly but dangerously up and down the steep and winding road. Buses and cars stopped to similarly enjoy the view, and a troop of bonnet macaque monkeys (Macaca radiata) dropped by to add extra interest. I hope to continue my association within Kerala and India via collaboration with Indian elephant expert Dr. Arun Zachariah, a veterinarian with the Kerala Forest and Wildlife Department, whom I met on the visit. Dr. Zachariah also works with tiger and bonnet macaques amongst other wild animal species and his work involves human-wildlife conflict resolution and conservation alongside his interest in animal health. With an increasing human population, wild habitat is diminishing and wildlife is increasingly coming into contact with people. This is not a problem unique to Kerala or India, and increasingly we need solutions to the problems that arise - for the sake of people as much as for wildlife. Scroll down to view photos from the trip. Click on an image to read more about it. House crow, Thrissur, Kerala, India. Vadakkunnathan Temple Indian Elephant. A God In Chains. Thrissur, Kerala, India. 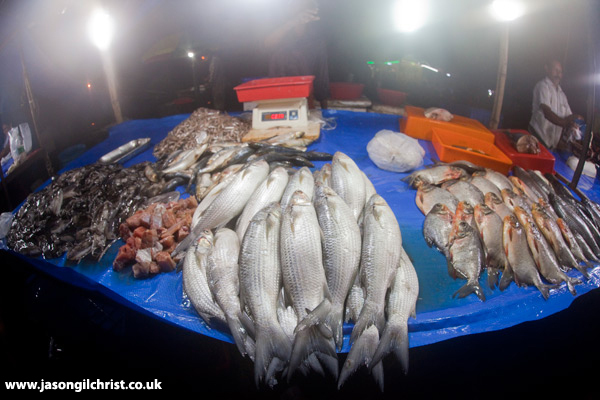 Nocturnal fish market, Thrissur, Kerala, India. Yawning Bonnet Macaque, Wayanad, India. 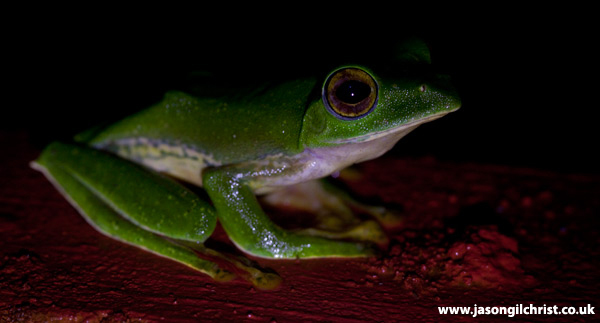 Green tree frog, Wayanad, Kerala, India. The lead image (click Blog if you cannot see it) is of a gecko on the wall of the stairwell within my hotel. 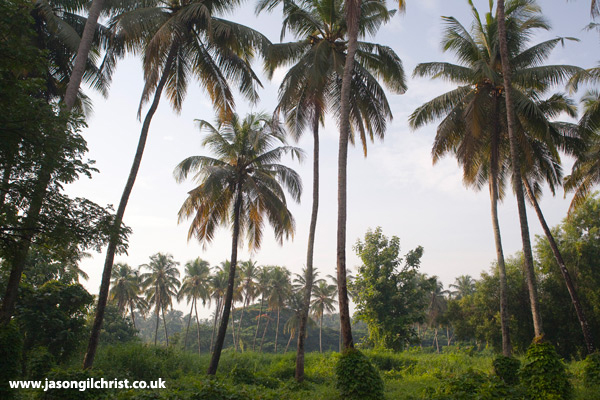 To view my Kerala photo Gallery click here.